Full bodied, fruit driven with lingering fruit sweetness with excellent ` leather like’ tannin structure. 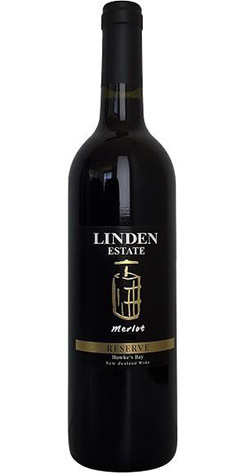 Linden Estate enjoys the warm climate of Hawkes Bay, New Zealand's most versatile wine growing region. They are situated 15 minutes north of Napier, in Eskdale and is the first winery as you arrive into Hawkes Bay from Taupo, - the ideal place to begin your wine tasting experience! Their cellar door is elevated above the surrounding vines, providing a wonderful vista across the valley floor to the wooded hills in the background. For the visitor, Linden Estate Winery offers unique wines, beautiful views and approachable staff who would love you to come and enjoy a tasting experience of some of the Bays quality wines. Linden’s hard work and attention to detail is key to growing exceptional fruit and, as a result, their wine achieves depth, richness, and complexity with intense fruit flavors. The effort put into the vineyards has resulted in many of their wines winning awards.